The Z11 is the perfect headset for PC gamers seeking high-fidelity audio and superior comfort at an affordable price. Its acoustically angled 50mm speakers deliver extended bass with extraordinary dynamic range for optimum audio performance. 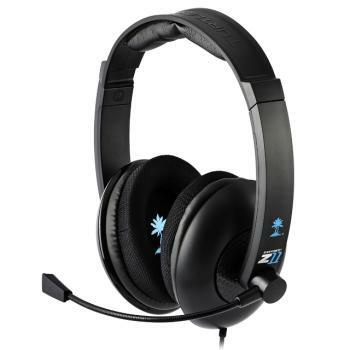 With a fully adjustable, lightweight headband and breathable mesh ear cushions, the Z11 is designed for extreme comfort during long gaming sessions.The Z11 also includes a PC/laptop adapter cable, while its 3.5mm, 4-pole connector provides easy compatibility with smart phones, tablets, digital music players and other mobile devices. If you’re serious about gaming, then get serious about the sound. Step up to the Z11 and experience game audio like never before. We acoustically angled the speaker panels within each ear cup to create the most realistic environment for accurate sound perception. The amplified stereo sound produced by the Z11 will ensure that you hear your games loud and clear. You’ll be able to hear sound cues that are missed with conventional TV speakers, such as the sound of enemy footsteps or the click of a loading weapon in the distance. In short, you’ll react faster and take them out before they take you out, giving you the edge that can make the real difference between winning and losing. Get an earful of top quality sound the way the game developers actually meant the game to be heard. Go from a PC or Mac gamer to playing on your smartphone, tablet or mobile gaming device and back again with a quick switch of wires. These premium speakers deliver crisp highs and deep, rumbling lows for the ultimate in video game immersion.